2001 2200V Repower. Issues Help. Recently purchased a 2001 2200V with a old vmax 225. 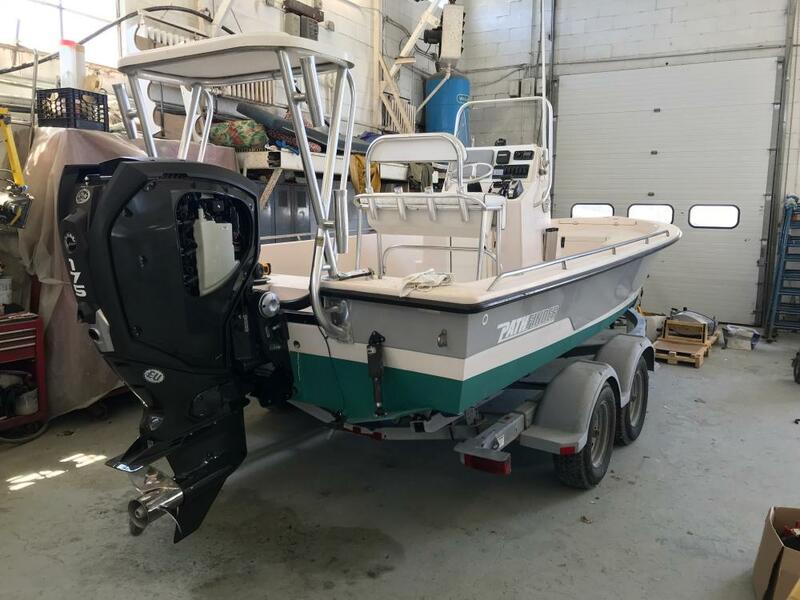 Decided to repower the boat with a new Evinrude G2 175. Called maverick to confirm shaft length and they said 20 inch shaft. Vmax that was on there was 20 inches as well. Pick up the boat this week and the boat is caviating like crazy and is basically unusable. Bring the boat back and they drop it down to the lowest hole and it improved a little but it’s still cavitating. I owned a lot of boats and cannot seem to come up with a solution for this. The only way the engine will get traction is with the engine fully down and cannot use any tilt without cavitation. Has anyone had issues like this with the 2200v ? Or any suggestions that might help ? Current Prop is a Rebel 3 Blade 15 1/4 x 19. Do you have a set back? That would help I think. 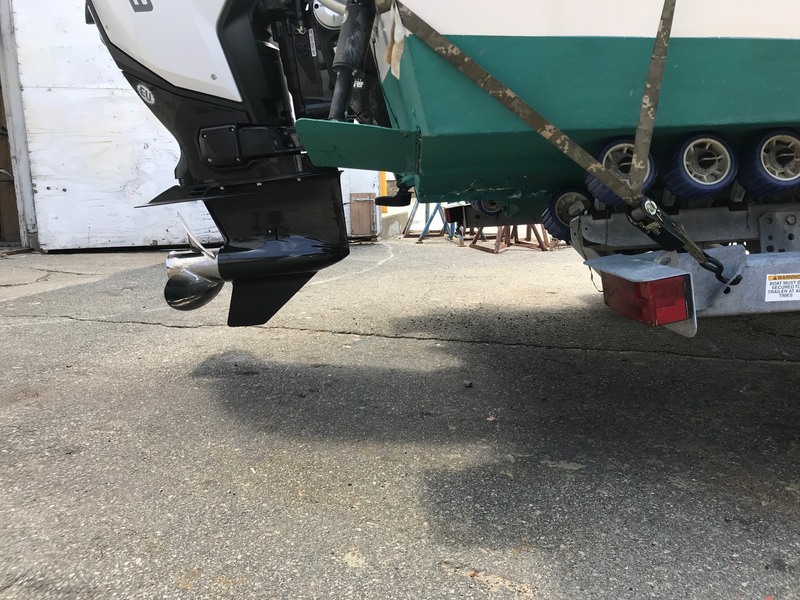 I do not know anything about your prop but you might want to try a 4 balde or some of the three blades that are proven to hold in light water . Not familiar with a Rebel prop, but a Power Tech prop will work with Yammy motors to stop the ventilation. I suggest checking in with Marcus at Power Tech to see what they can recommend. JEM is correct....either write Funky Monkey on this forum or call Power Tech Props and ask for Marcus. I will say that my 2200XL cavitated bad with 3 blade props....Marcus recommended the OFX4 ( four blades ) and It works great ! Thanks for the help guys. No set back. 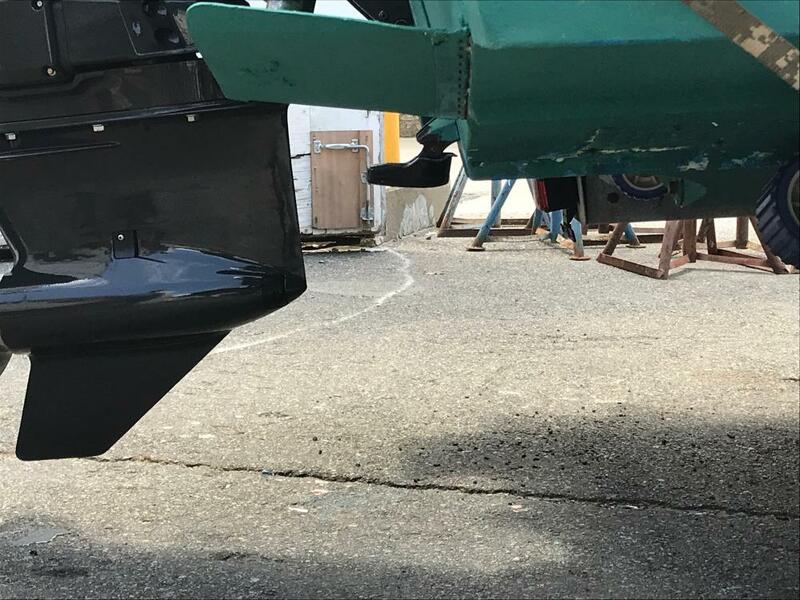 Engine is directly on transom with no jack plate. Very frustrating. Going to give Marcus a call today and hopefully the 4 blade helps. Any other suggestions would be appreciated. It doesn't have to be a 4 blade. I have a jack plate on my 2200V with a Yamaha 225 SHO. I am spinning a PT OFX3, 19" prop, and I couldn't make it ventilate if I tried. I would think it would be a prop issue. /some props ventilate worse than others when trimming the engine. I know on my boat the Powertech SCD model only works when it is trimmed all the way down. one bump of the trim button and it blows out. Ask the installing dealer if you try a different prop configuration. Thanks for all the suggestions everyone. I have a Power tech prop on the way. I hoping this might help resolve the issue. If not I might have to look at jack plates. Here's a few pictures of the new etec mounted. To me something still doesn't seem right. It appears that the cavitation plate is still hitting higher then it should. The Yamaha 20 inch shaft appeared to sit a few inches lower. Is that possible I though it was a standard measurement. Hopefully the new prop solves the issue. Going to have a jack plate quoted today as well. With the engine set to the lowest position, I am willing to bet the right PT prop will stop the ventilation. Your anti ventilation plate looks about in the same position as mine, relative to the pocket. Thanks for the input. I hope it does. It is currently at the lowest hole. Is your jack plate a 6 inch setback ? Yes, it is an Atlas 6" jack plate. Not sure which prop Marcus recommended, but my experience with aggressively raked PT props (3 or 4 blade) is that you can't make them ventilate.......even in the tightest of turns! You just about have to trim the prop out of the water to catch air! Good luck, and let us know how it turns out. Update. Tried the new props from PT. The first one had to much pitch so had to return it for less pitch model. The engine is so much better now than before. However I still feel its not quite right. Flat water it runs fine but when it gets choppy you can hear the prop starting to release. 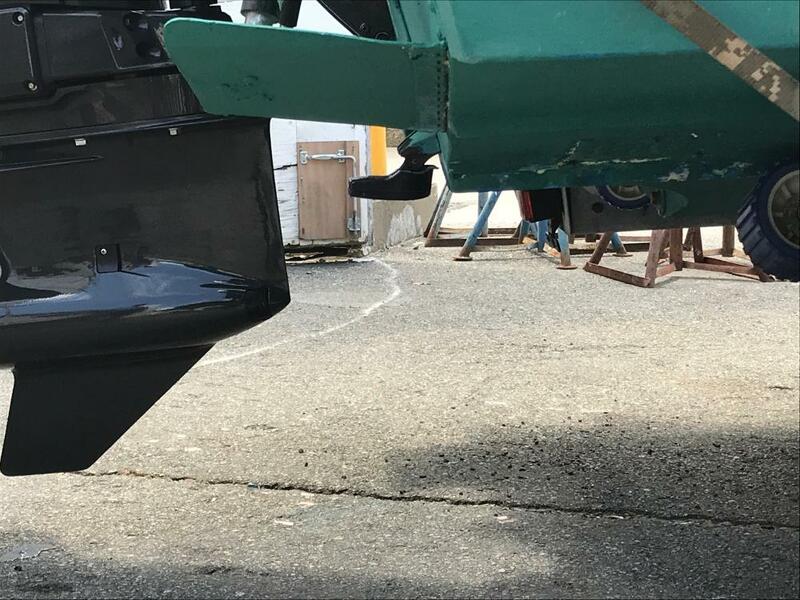 The other issue is with the trim tabs maxed out I cannot get the bow to hold down in a head sea. Still not perfect..... Maybe ill try some longer actuators. In your pictures (may be the angle you took them too) but it looks like they can be tuned for better performance. before trying a longer actuator go to the LENCO site and read the installation page. Your blade should be 3/8" from the bottom of the hull at the hinge and 5/8" inch (9" tab) at the rear or 3/4" on a 12" tab when properly set up. By checking and setting the proper height settings you may not have to buy longer actuators only adjust them. Worth a shot to measure them before you spend money. read the link below to make sure of which style you have and which measurement pertains to your tab.